One of my favorite animals in the park is the Sable Antelope. They are beautiful and elegant creatures. When we did the Sunrise Safari, we got a great look at the herd and in particular, this female in the tall grass of the savanna. 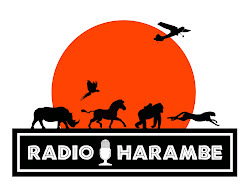 As I am sure you know, the Sable is the symbol of the Harambe Wildlife Reserve. And they are certainly impressive.